New York (Tadias) – The purpose of this essay is to interrogate assumptions in the reading of our past and to suggest new approaches in the construction of Ethiopian history. I contend that the long history and its resultant diversity have not been taken into consideration to document and interpret a history of Ethiopia. In fact, what we regard as a history of Ethiopia is mostly a history of northern Ethiopia and their links to the Arabian Peninsula. This is because historical narratives have been shaped by external paradigms. The assumptions and interpretive schemes used to construct Ethiopian history are extracted from experiences and traditions other than our own. Almost all history texts begin from the premises that the history and civilization of Ethiopia have had an external origin. It is also my contention that the centrality of the external paradigms in the interpretations of Ethiopian history has created a hierarchy of national identity (the civilized north vs. the pre-historic south) and culture (written vs. oral traditions) among the polity. 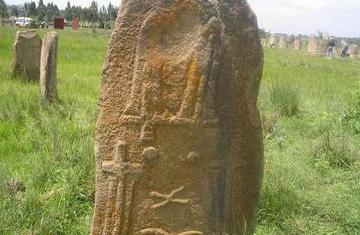 The history of northern Ethiopia is regarded by several writers as “superior” to the history of the rest of Ethiopia. The history of the north, not only has been constructed to have a non-African orientation, but also the historical values of its two major institutions: the monarchy and the church are allowed to dominate. I argue that a history that is constructed on the basis of external paradigms is divisive, neglects the South, too monarcho-tewahedo centric, and privileges the North. Furthermore, the external based history cannot even guarantee the unity among the northerners. What are these external paradigms? Who are there authors? Why did they remain so prevalent in our construction of Ethiopian history? What prevents from pursuing an Ethiopia-centered (people-centered) interpretations and construction of Ethiopian history? It took a revolution to fundamentally change our assumptions and interpretations. Languages, religions and cultures are no longer presented in hierarchical forms. There are no superior or inferior religious or linguistic traditions within the country. This is not to suggest that equity in diversity has been achieved in the country. But it is safe to say that the country is moving towards plurality and unity in diversity. In this paper, I will also attempt to address these and related questions with the intent of searching and developing internal paradigms rooted in the observed and narrated traditions of the diverse and yet remarkably intertwined communities of cultures and languages in the place we call Ethiopia. One of the most persistent and most pervasive themes in the Ethiopian history and historiography until very recently was the theme of “the South Arabian or the South Semitic origin of the major part of the Ethiopian civilization and culture, including its writing system, its religion, its languages, agricultural practices and dynasties.” According to this external paradigm, the history of the Ethiopian people begins with the arrival and settlements of the “culturally superior” people from South Arabia, the Greater Middle East, including Jerusalem, Syria, Mesopotamia, and Lebanon. 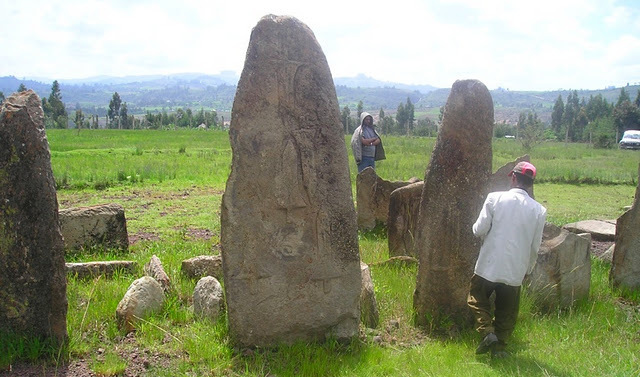 These ‘Semitic’ people supposedly brought with them to the highlands of Ethiopia their languages and, most importantly, their writing system and agricultural practices, such as terracing and ploughing. The external paradigms are still pervasive and, despite the facts to the contrary, they continue to distort the Ethiopian history. In fact, the South Arabian origin of Ethiopian history and civilization is so pervasive, almost all accountings of Ethiopia are prefaced or began their introductory chapters by highlighting the external factors. It is as if Ethiopia is fathered and mothered or at worst adopted by guardians who came from elsewhere. It is a strategy that places Ethiopia in a permanent state of dependency, from its emergence to the present. As I argued before, what is the logic of beginning a history of a people or a country from an external source? It is my contention that a history of a people that begins with an external source is quite problematic. It would not be the history of the Ethiopian people, but the history of south Arabians in Ethiopia. Since history narrates or records the material and cultures of all peoples, it is important that we seek conceptions, construction and narration of the Ethiopian history from the inside. Ever since its conception by the “father” of Ethiopian Studies, Hiob Ludolf (1624-1704CE) of Germany, in the 17th and 18th centuries of our era, the external paradigms became a kind of scholarly tradition among both the Ethiopianists and the Ethiopian scholars. Very few scholars have raised questions regarding the external origin of the Ethiopian polity. Before I explore this assertion further, let me provide some background information on the history of the term Ethiopia. Ethiopia is a term by far the most thoroughly referenced and widely recognized both in the ancient and the contemporary world. It is a term associated with people, place, religions and cultures unarguably from the continent of Africa, and to some extent Asia. In fact, at one time, Ethiopia was almost synonymous with continental Africa. Only Ancient Libya and Ancient Egypt were known or recognized as much as Ethiopia in Africa. It is a term deeply explored by both ancient and contemporary writers, theologians, historians, philosophers and poets. Ethiopia is known since antiquity and, as a result, has been a source of legends and mythologies. All the great books of antiquity made probing references to Ethiopia. The term, etymologically speaking, has its origin in multiple sources. Ethiopians insist that the term originated from the word Ethiopis, who was one of the earlier kings of Ethiopia. Ethiopians also point out that the term is a combination of Eth and Yop, terms attributed to a king of Ethiopia who resided by the source of the Blue Nile. There are also others who link the term with incense, thereby tracing it to the land of incense. Given these suppositions that are primarily presented based on oral traditions, it is incumbent upon us to dig deeper into our past, in order to come to terms with our Ethiopian identity. It is interesting to note that the ancient historians had a better understanding of the Ethiopian past and wrote profusely, from Homer to Herodotus, from Siculus to Origen. Ayele Bekerie, is an Assistant Professor at the Africana Studies and Research Center of Cornell University. He is the author of the award-winning book “Ethiopic, An African Writing System: Its History and Principles” Bekerie is also the creator of the African Writing System web site and a contributing author in the highly acclaimed book, “ONE HOUSE: The Battle of Adwa 1896-100 Years.” Bekerie’s most recent published work includes “The Idea of Ethiopia: Ancient Roots, Modern African Diaspora Thoughts,” in Power and Nationalism in Modern Africa, published by Carolina Academic Press in 2008 and “The Ancient African Past and Africana Studies” in the Journal of Black Studies in 2007. This is great information. It has always been clear to me that we certainly need a paradigm shift in the manner in which we both learn and teach Ethiopian History. There could be absolutely no debate that Ethiopian history has been been church and royal centric. But we all know that our nation (the size of Texas, California and New York combined) is much, much bigger than that. The history of a country must correctly reflect the history of all its peoples. hanks for digging deeper. It is splendid to see thnigs from different perspectives if it adds value to existing problems. There are umpteen problems as far as Ethiopian history is concerned, but the thing that we need to ponder is: does this alleviate or excerbate the existing challenges of the country? Is the problem of Ethiopia, the problem of history? You deserve appreciation for the way in which you are looking at our history, but I doubt whether the assumption is new or not. I am a black Nicaraguan descending from slaves brought to the new world from West Africa via Jamaica. Due to the Rastafarian influence in my homeland, we were always taught to look up to Ethiopia as divine. The teachings of Garvey, Loenard, Howell and others always considered the area of Nubia as the begining of mankind. Of course we looked at these concepts more from a cultural and religious background than from a scientific one. This is a very interesting information for me. For years, every time I read history books I was always disappointed because they start Ethiopian history from outside (although I know this not to be true). We have our own history so why does it have to start in South Arabia? It does not make any sense. Why do they distort African history? They always want to take Egypt and Ethiopia out of Africa. They want to make us feel like we do not belong there. Everything good about Africa has to come from outside. Why? Anyway, I always enjoy your articles, Professor Ayele. It is true that some foreigners tried to present skewed Ethiopian history and claim some of our grand historical achievements to themselves while others tried to be more objective and consistent to facts on the ground. We consider ourselves a proud Africans and never claimed to come from middle east or any other place for that matter! in fact on the contrary our ancestors told us Ethiopia is the ‘garden of Eden’ as described in the bible long before Science and the discovery of Dinknesh(Lucy). We can certainly appreciate the historical significance of new discoveries in every part of the country with out demonizing others. This article is very interesting because I am in college now studying ethiopian history. Its good to hear the source of Ethiopian coming from its people instead of (foreigners). Unfortunately (Euro-centric historians) have always viewed africa and other cultures as inferior or not advanced. They claim oral traditions are not reliable yet, they use oral traditions in there own history outside of Rome and Greece. So its a double standard in that respect . Anyway look forward to part two of this article, keep letting the truth be known. How does Habesha history tie into the history of ancient Ethiopia that has been given to us by authors such as Homer and Herodotus who describe people who appear to have a Sudanese origin, phenotype and location? I think that Prof. Ayele is absolutely right Ethiopia is an ancient land, who is probably the birth place of Man. There are certainly been societies and cultures that have existed prior to the influx of foreign influences. The question is that not enough research has been made about it. On the other the hand, the question is also whether there were constituted states at that time or simply a cluter of roving groups. 1.Institute for the Study of the History of Nationalities in Ethiopia was by then Revoltutionay government of Ethiopia. It has conducted field as well as reasearch into historic documents. I know for sure that they have collected and accumulated a vast amount of material. The men involved in it were among the best the country has produced though there is , as usual ,few from the South. Some of them were my personal friends. Like anything else this fell into the hands of TPLF rebles. I am not sure whether it survived and kept as a voluable treasure or neglected and/or destroyed. 2. I am not sure whether it is the same Stella in your piece but a number of them showing burial sites were published in a magazine of the Minstry of calure probably in the late 1980s.The then minster of Calture was the lawyer, Major Girma Yilma . He was apart from being my friend, was aone of the very few Ethiopian that I admire . He now, if I am not mistaken,resides in Seattle, Washington. That will be the day when , if not me , my children and my grand children will read ‘Fair and Balnaced ” History in this forever unfair and unbalnced country. Please Hold the Torch High and come up with a book. At least that will open the way and you will considred Path Finder. The facts you stated about the Europeans writing about Ehtiopia is well taken. I want to ask though , haven’t Ethiopians themselves written about their history? While the English or foriegn language maybe be dominated by foriegn writers I am sure there are historians like you who have written. So, our library is not just about Europeans writers. Just as much when we do reconginize the rich diveristy of Ethiopia and the lack of inclusiveness in our written history as you rightly point out, I belive the challenge now is to collaborate with those that are in Ethiopia and produce the product to teach the current and future generation. Your work and others points us towards the right direction. Thank you and hope the Ethiopians living and working in Ethiopia have already embarked on this road as I am confident they have. Just a note to say thank you a million for your contribution in preserving Ethiopian history!! You are a trooper!!! Thank you Tadias Magazine!! Thank you Professor for this article. Eye opening. I’m a student in Ethiopia. It is while doing research that I found your article. It has great value especially for students of history. Through history we learn from the past and preserve for the next. We all have the same obligation. Thanks for your love to our country.